Although you can rarely predict an emergency, you can be prepared. Take a minute and think. What essentials would you need if a natural disaster or crisis meant that you were without utilities for several days? Only you know exactly what your family would need, but it's a good idea to stock up on necessities such as canned food, powdered milk, bottled water, a first aid kit and plastic utensils, for example. You'll also want to include a manual can opener, flashlights with batteries and a battery-powered radio. Make sure, too, that you note any expiration dates and periodically replace items that will soon be out of date. Do not touch or come close to downed power lines. Locate the circuit breaker inside your home. 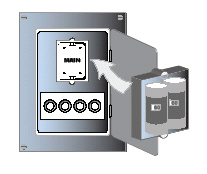 Turn off the main switch; it is the first and largest switch on the circuit breaker. Do not smoke, use candles, matches, or other flammable items, and don't operate any electrical equipment, including light switches. Open the windows, evacuate your home and shut off your gas meter. Locate the gas meter outside your home and find the shut-off valve, which is usually on the line leading to the meter. 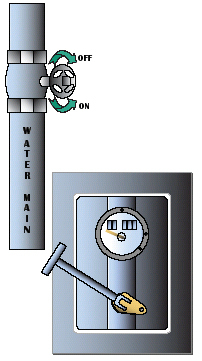 Using a wrench, turn the valve to the position of "off" as shown in the illustration. 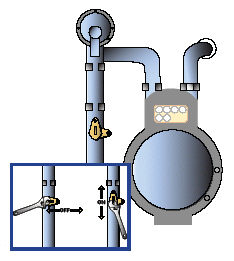 The valve is in an "off" position when it is perpendicular to the line/pipe on which it is located. 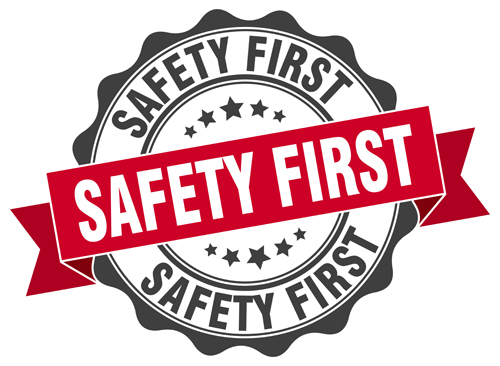 Do not turn on the gas again or re-enter your home until MLGW has deemed it safe to do so. If you hear reports of broken water or sewage lines, you should shut off your incoming water valve to prevent contaminated water from entering your home. You may have to turn off your water at the meter, which is usually located under a metal cover near the sidewalk or street. Turn the valve to shut off the water from entering your home as demonstrated in the illustration. You may have to purchase a valve cutoff key, shapes like a "T", which can be purchased at home improvement stores.